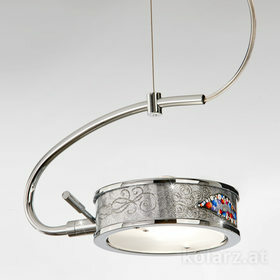 KOLARZ - 100 years of PASSION FOR light. 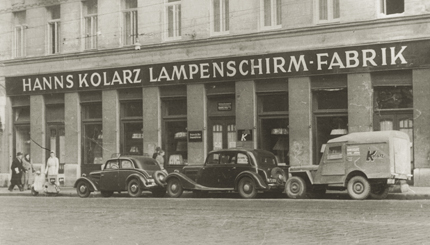 Light has always been our source of inspiration - since 1918, when Hanns Kolarz, great-grandfather of today's KOLARZ generation, founded a lampshade manufacturing business in Vienna. In 1970, the KOLARZ headquarters opened in Breitenfurt near Vienna. 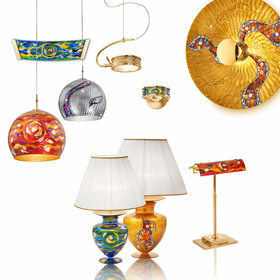 Hanns Kolarz' passion for light is kept alive today. Our internationally successful Austrian family company, run in fourth generation, enlightens spectacular spaces around the globe: KOLARZ creates innovative lighting design for giant skyscrapers, legendary department stores, luxury hotels, restaurants, concert halls and office buildings as well as for private residences. Our commitment to traditional European craftsmanship is what makes KOLARZ so special. All our masterpieces are precious and unique works of art, handmade by skilled artists in the heart of Europe - and making eyes sparkle all over the world.